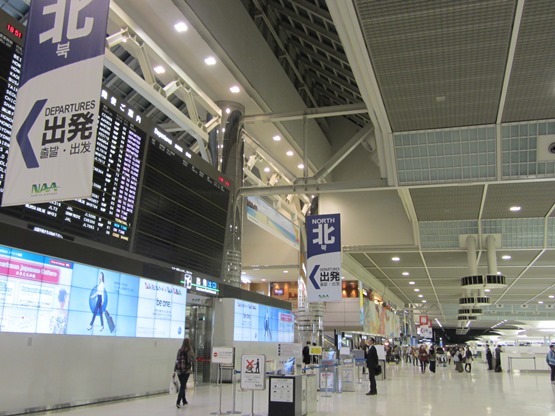 Narita International Airport will operate record-high 3,571 international passenger flights a week in this coming summer period (March 27 to October 29 2016), 197 more flights a week than a year earlier. In total, international flights including cargo flights will reach record-high 4,514 a week, 192 more flights a week than a year earlier. Spring Airlines started Wuhan service on February 13 and Chongqing service on February 14, and Jetstar Japan launched Manila service on March 15. On March 27, the first day in the summer period, t’way, the Korean LCC, will begin serving Seoul flights. ANA will extend its international network to Wuhan on April 28 and Phnom Penh on September 1. Hawaiian Airlines will start Honolulu service on July 23. Iberia will restart Madrid service on October 19. As of March 27 2016, Narita will have a flight network for 107 international cities and 17 domestic cities, and including restart of Toronto service by Air Canada on May 2, the international network will extend to 110 cities as of October 19. The number of scheduled airlines flying into Narita will reach record-high 92 including Iberia as of October 19.